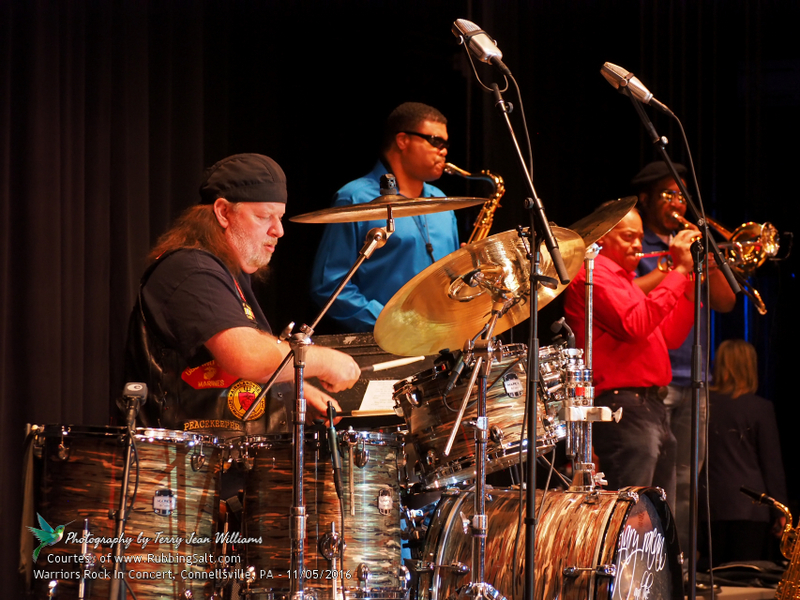 November 5, 2016 Levin Furniture and Armstrong Cable presented Warriors Rock, Gary Racan and the studio e band. 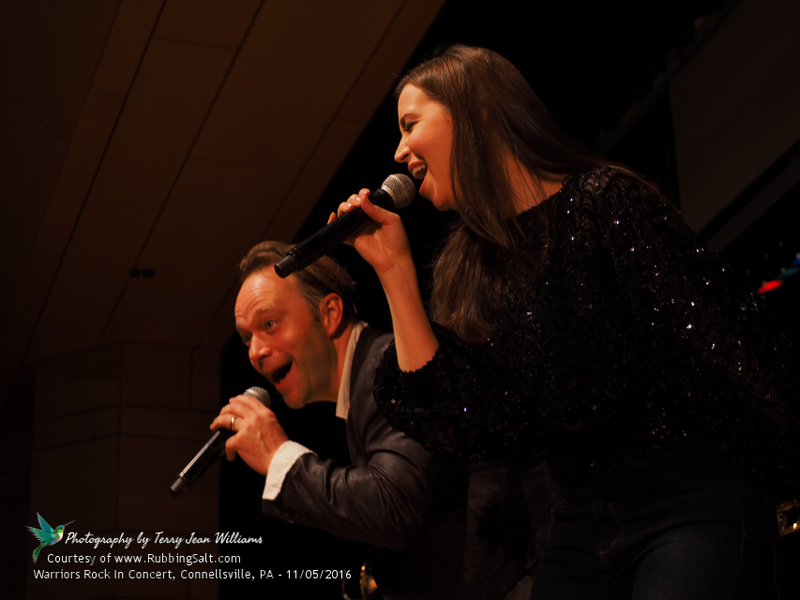 The performance took place at the Connellsville Area Senior High School Auditorium, Connellsville, Pennsylvania. This was a high energy event that could be felt throughout the auditorium. The concert was live streamed to the Army National Guard, Unit 1-110, who are deployed in the Middle East. Family members of the deployed service persons were sitting in the auditorium some holding up signs they made supporting their loved ones who were watching over the internet in real time. The use of this technology was made possible by Armstrong Cable and was a first for Warriors Rock. You could say Warriors Rock cranked up the volume clear around the world! 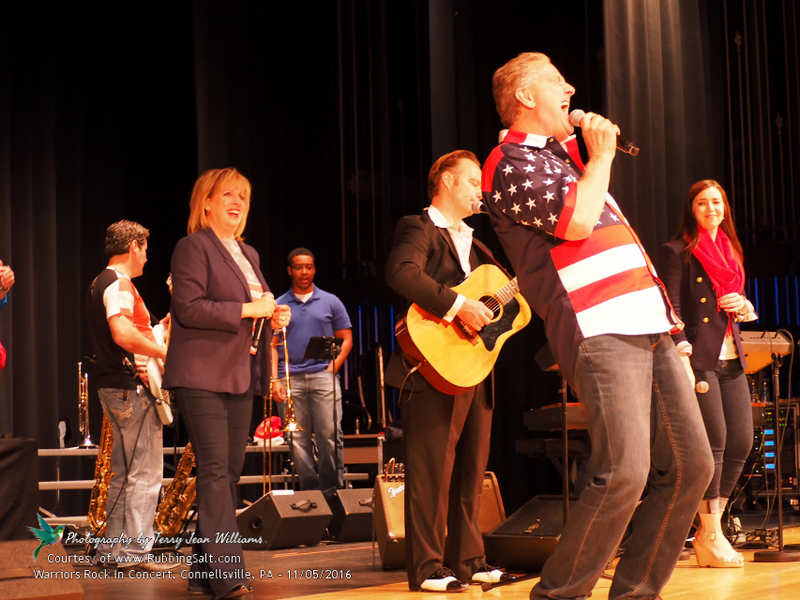 This was an incredibly unique and engaging musical event honoring Veterans and active duty personal. 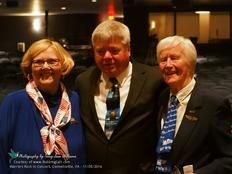 No two concerts are ever alike as each concert is tailored to the community where they are performing and to the Veterans highlighted during the concert. Each concert has a different benefactor. 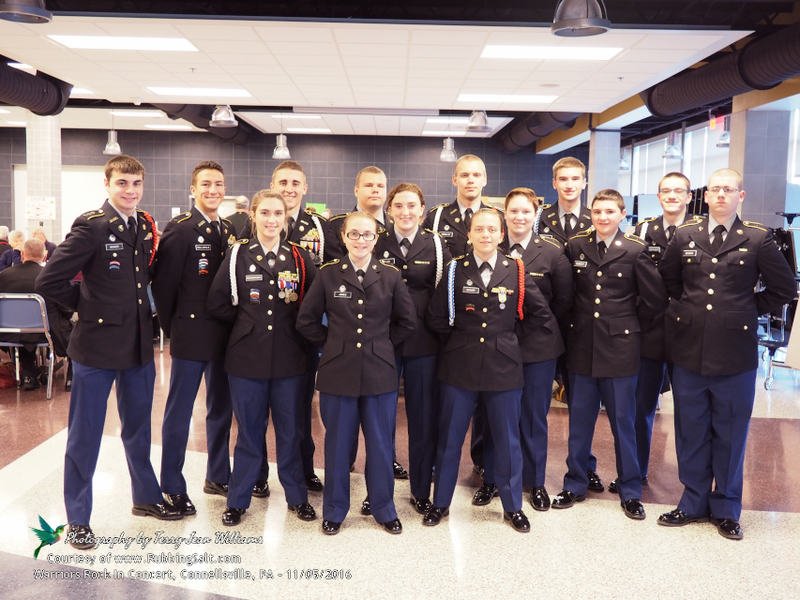 This show’s benefactor was the Connellsville Area High School Patriots JROTC and what an awesome job the JROTC did showing guests to their seats, presenting colors, and more. These young people in the Patriots JROTC were disciplined and very aware the uniform they were wearing deserved respect. This type of respect and desire to serve is learned from outstanding role models from their families down to the staff at their school. One of those role models is Linda Shearer who founded the CAHS Patriots over a decade ago. Since then she and the JROTC along with donations from the community, have provided our deployed men and women with thousands of care boxes. Shearer was the driving force behind obtaining a piece of the World Trade Center from 9/11. Positioned at the entrance foyer near the auditorium, it serves as a reminder of how precious our lives and our freedoms are, and how quickly they can be taken. Shearer presented to Kim and Gary Racan a piece of 9/11 cement with a steel rod protruding from it encased in a clear display case. This gift was so touching and meaningful it moved Kim to tears. Each member of the band was given a small container of gravel that was retrieved from the artifact as it was cleaned for display. Just like the larger piece given to Kim and Gary, these are pieces of history to serve as reminders of how quickly our lives and the things around us can be destroyed if we become too complacent. The Veterans highlighted in the show were Florence “Shutsy” Reynolds, Kenneth White, Matt Hixson, Mike Washington, Shawn Fuller, Harry Porter, Jim Miller, Kevin Claycomb, Art McGann, and Marlys Johnson. 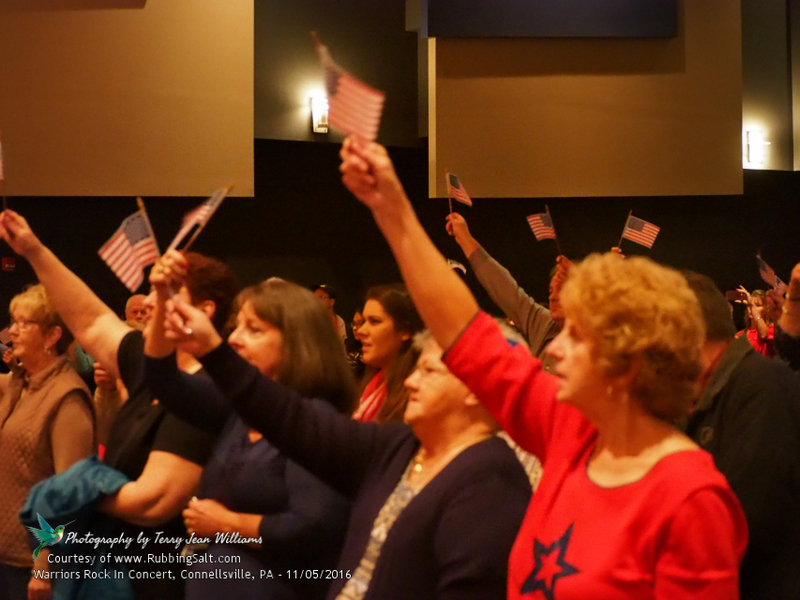 Each shared a meaningful experience and of course a song that reminded them of home when they were deployed. In honor of Veteran's Day this year, Armstrong helped LIVE stream the Warriors Rock concert on November 5th to our currently deployed troops overseas from the Army National Guard. Learn more about this event by visiting http://armstrongonewire.com/sites/followthewire/Home/warriors-rock-entertaining-our-american-soldiers ! If you missed seeing this wonderful show no worries. 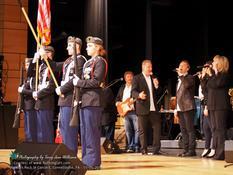 The next show is November 19, 2016 at Waynesburg Central High School https://www.warriorsrock.org/november-19-2016.html so mark your calendars and come out and support our Veterans and this very worthy event! Additional kudos to Angie Butela for the great job she did getting the word out through social media. 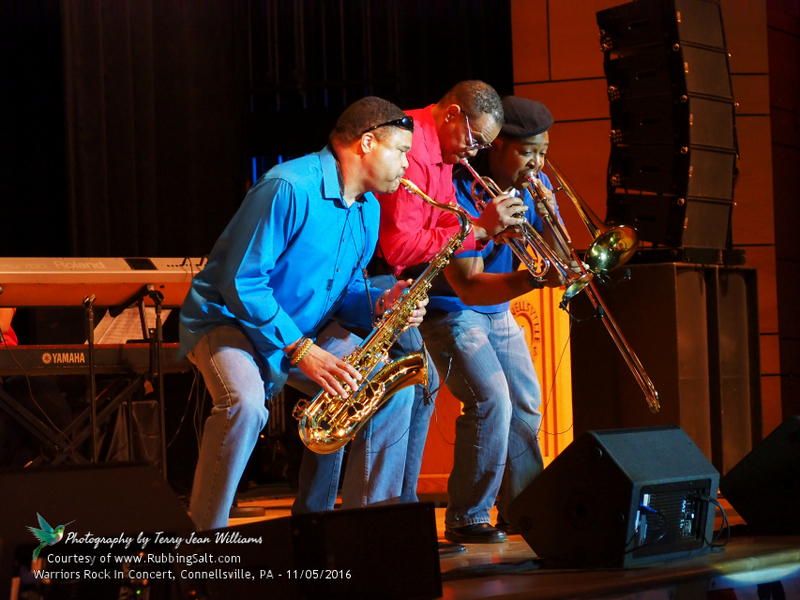 If you have questions regarding upcoming concerts in your area contact Kim Racan 412-401-4044. A BIG YHANK YOU TO LINDA SHEARER !!! Who without her help, this concert would not be possible!